We take pleasure to introduce ourselves as the renowned manufacturer and supplier of Plain Garment Packaging Poly Bag that is available in varied sizes and colors. 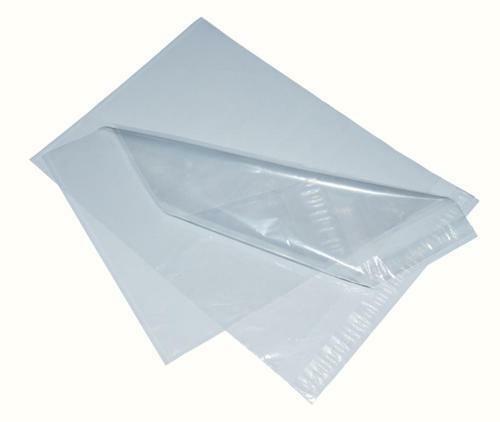 Our provided poly bag is widely utilized in making of packing bags owing to its high strength. The offered poly bag is manufactured by our adroit professionals using high grade polyethylene in line with set industry standards. Apart from this, our provided poly bag can be purchased from us at budget friendly prices. Established in the year 2003, at Noida (Uttar Pradesh, India), we Janak Packers are the leading Manufacturer of a wide range of Polythene Garment Cover, Garment Packaging Poly Bag, LDPE Films, Bakery Packaging Poly Bag and many more. These bags are designed and crafted by our highly skilled professionals using high grade raw material that is procured from reliable sources of the market. The offered bags are stitched with the help of advanced machines, which ensure their high strength. These bags are widely demanded in the market for features like smooth texture, fine finish, durability, attractive look, light weight and gorgeous pattern. We offer this unique collection of bags in various designs, colors and sizes to meet the varied choices of clients.